Congratulations to our Client Robert Matthew for their feature in Glo Magazine! Lend a touch of elegance to any outfit with the Alayna Satchel Tote from Robert Matthew. Every woman needs a little eye catching elegance to make them stand out. 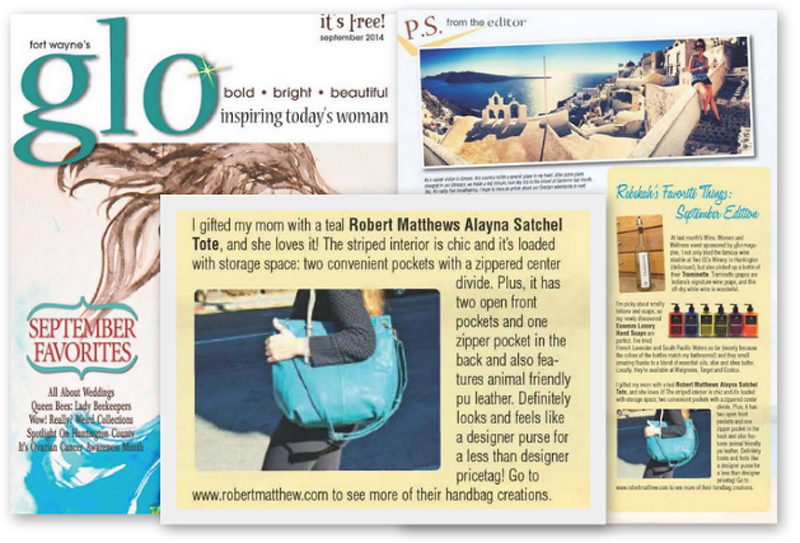 Robert Matthew creates the hottest fashionable yet functional handbags that women around the world are proud to flaunt.